97.5 NOW FM and Los Tres Amigos want to send you to the biggest show of the summer, Common Ground 2016, to see Jason Derulo & Daya live on Sunday July 10th! And we want you to meet them both too! All you have to do is visit any Los Tres Amigos location -- or ALL of them -- and get signed up! You can enter to win once at each location! On Wednesday July 6th, Josh Strickland will broadcast live at Los Tres Amigos in East Lansing from 5 to 7pm, giving you one last bonus opportunity to get signed up for the contest. Then, he'll announce the winner! No purchase necessary to win. Must be 18 to win. Only one entry per person per location of Los Tres Amigos will be counted as an official entry into the contest except "bonus" entries submitted at Los Tres Amigos in East Lansing on Wednesday July 6th, during the 97.5 NOW FM live broadcast between 5 and 7pm. Winner will be drawn and announced at approximately 7pm on Wednesday July 6th at Los Tres Amigos in East Lansing. Winner does not need to be present to win. Ticket vouchers will be provided. Information regarding Jason Derulo and Daya meet & greet opportunities will be communicated with winner via phone or email prior to Sunday July 10th. 97.5 NOW FM, Townsquare Media and Los Tres Amigos Restaurants are not responsible for changes to or cancellations of meet & greet opportunities, performances, performance times or dates. Winner must adhere to general rules of Common Ground Music Festival.  97.5 NOW FM General contest rules apply and can be viewed here. Downtown, 107-109 E Allegan Street.